Thoroughly introduced and contextualised, this volume is an engaging introduction to this huge and complex field. 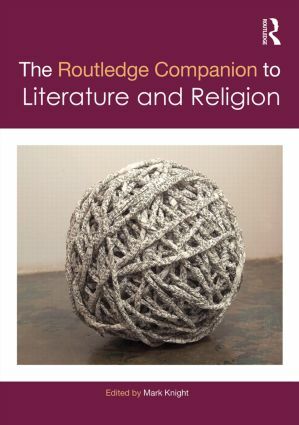 "The most striking aspect of The Routledge Companion to Literature and Religion is its willingness to take seriously the distinctiveness of the faith traditions and theologies that it discusses […] Readers new to this conversation might be surprised by what they ?nd here; for those already involved, this book o?ers a signi?cant opportunity to re?ect on the range of our current conversations and on the directions in which they might move next." 21 Gothic Fiction and "belief in every kind of prodigy"
Mark Knight is Senior Lecturer in the Department of English and Creative Writing at Lancaster University, UK. Field-defining volumes in new and exciting areas of literary studies. These volumes are ideal introductions for beginners, or handy volumes for those already working in the field: summarising current scholarship, whilst pushing the boundaries of emerging trends they are must-have collections.